Using a serger can seem pretty intimidating, but Simple Serger Sewing edited by Julie Johnson is full of tips, techniques, and good information to ease your nerves and get you stitching in no time. The book covers a lot of basics like tension setting and different types of stitches; things that are translatable to any kind of project you’d like to create. 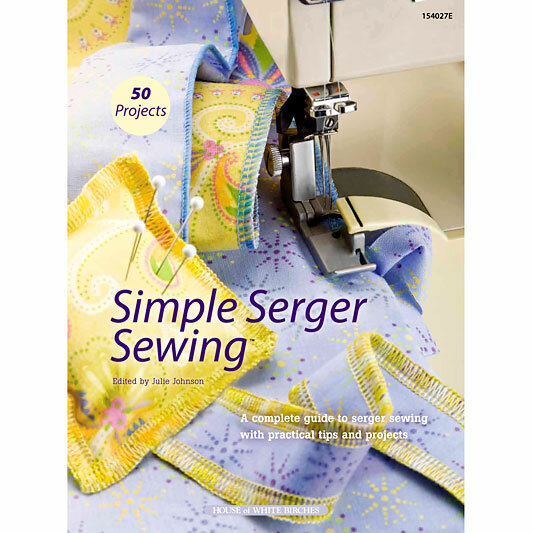 You won’t need to look far for great serger projects, either because here are 50 great projects included! 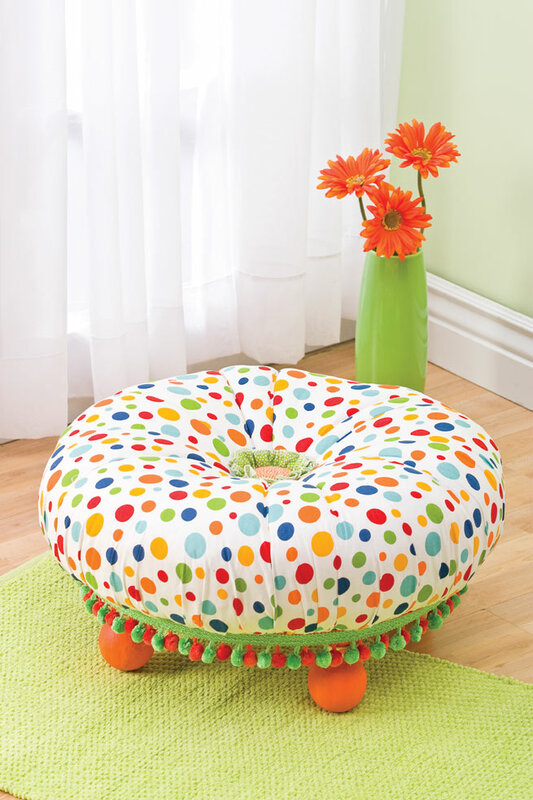 The projects in the book run the gamut from baby items, to clothing, to housewares and gifts. It definitely goes beyond what you would normally think of as a serger project, too. There are valances, applique techniques, and even quilts! I’ve completely fallen in love with the “Sweet Tote” that you see above. 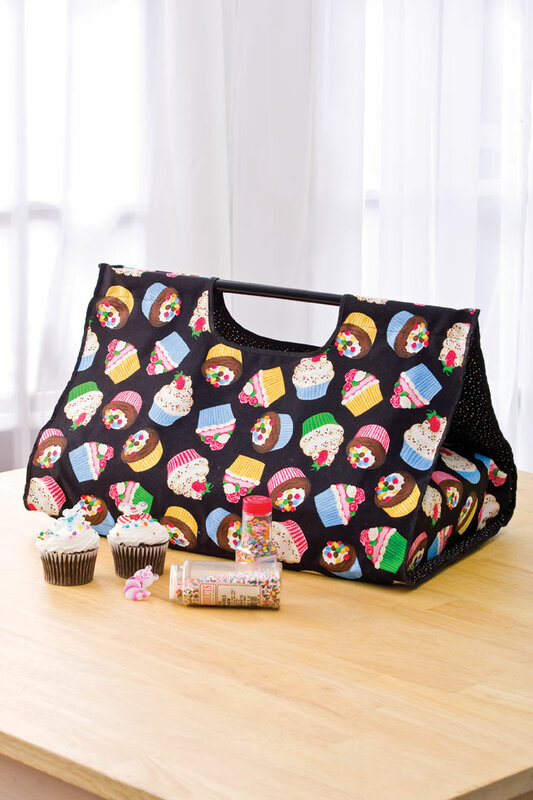 It’s a cake or casserole tote and it’s just too adorable! The instructions are well written, with a materials list and for some projects, like the “Sweet Tote”, even templates that you can copy and enlarge. I’ll definitely be making it and trying to get invited to more potlucks. 😉 Maybe I could even make the matching “Cupcake Apron” pattern and be a complete domestic diva. Why use a serger when you can use a sewing machine? Well, you can create professionally finished seams with a minimum effort, you can apply beautiful decorative stitches, and a serger will trim your fabric as you sew, saving you time and effort. With all those advantages, it’s time to dust off your serger, pick up Simple Serger Sewing, and start stitching! If you make one of the projects from this book, be sure to let us know! We’d love to see how you put your serger to work! To purchase Simple Serger Sewing visit Clotilde.com. ow i am in love with that cupcake bag! this post is so bright and wonderful!